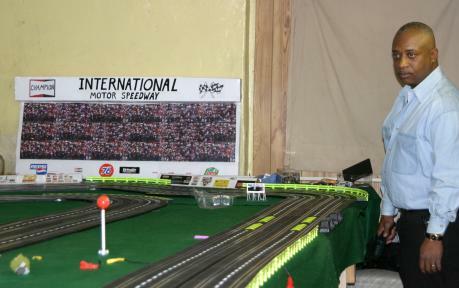 4 lane setup by Mr. Hugh Hill (pictured below). 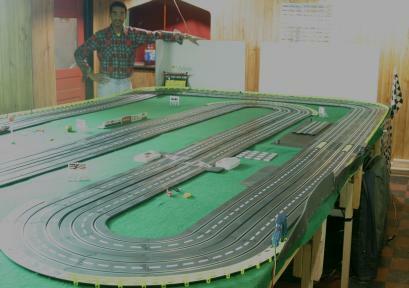 Hugh & his "buds" have put together over 150 feet of 4 lane track by combining three 4 lane Artin sets & bunches of straight track. 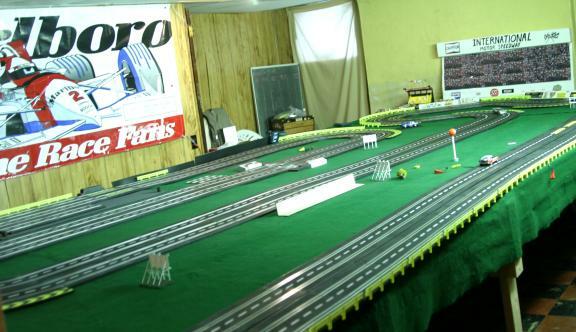 Racing on the track is a real pleasure & it is hard to distinguish the racing on this smooth surface from turning laps on a high dollar routed track system. 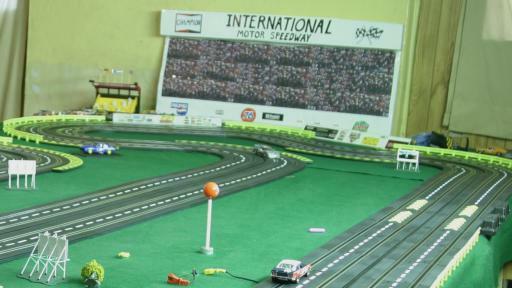 Tim, above, stands at the high speed end of the track is the #1 marshal with those long arms. A realistic fabricated grandstand and bits from the Artin sets make great decor. 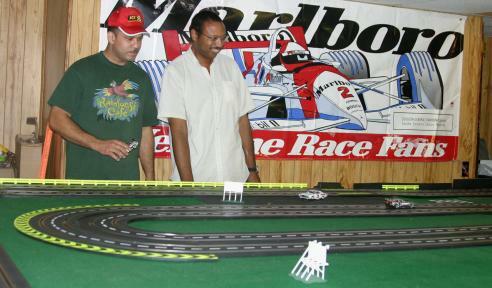 Reggie on the left is a real ace on this track & "smiling" Bill on the right is running some real cool custom vintage NASCAR mods on the new Carrera vintage style cars to make "Buddy Baker" and other versions of the cars.